Page Updated:- Monday, 04 February, 2019. Above photo, December 2007, kindly sent by Eric Hartland. Above photo 1950 by F S Pridmore Creative Commons Licence. 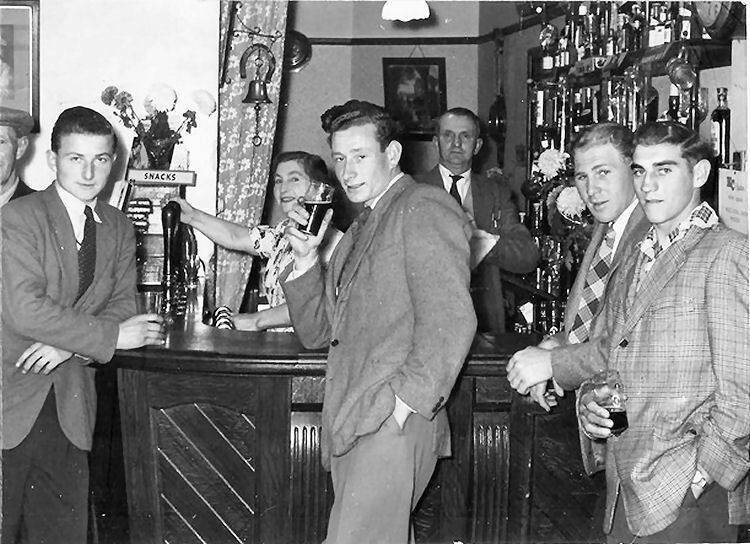 Showing publicans Frank (Stan) and Annie Pridmore serving behind the bar. 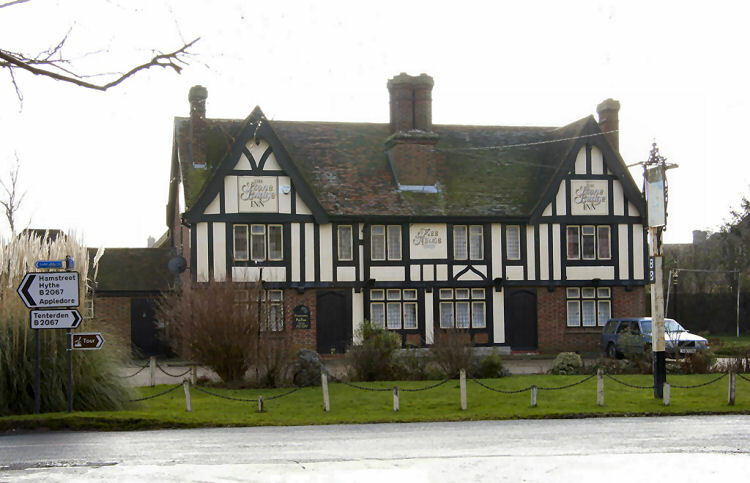 The "Stonebridge Inn" was built as a road-house on the B2067 in the 1930s. It is a twin pub with the rebuilt "Duke's Head" in Hamstreet. Plans have been submitted several times to turn this into a residential home (2005) as Woodchurch already boasts two public houses. This pub has now been demolished to make way for an old people's home. June 2011. Whitstable Times and Herne Bay Herald 11 April 1931. EAST KENT LICENSING MATTERS. REMOVAL OF LICENSES. Mr. B. Waddy applied for confirmation of order granted by the Ashford Justices sanctioning the provisional ordinary removal of the Justices' licence in respect of "Stonebridge Inn," Woodchurch. Mr. Waddy said that at present the house was off the main road and in the winter was liable to be flooded. It was proposed to remove it a short distance along the main road to a site where new premises would be erected. There was no opposition before the Justices before or that day. The order was confirmed.